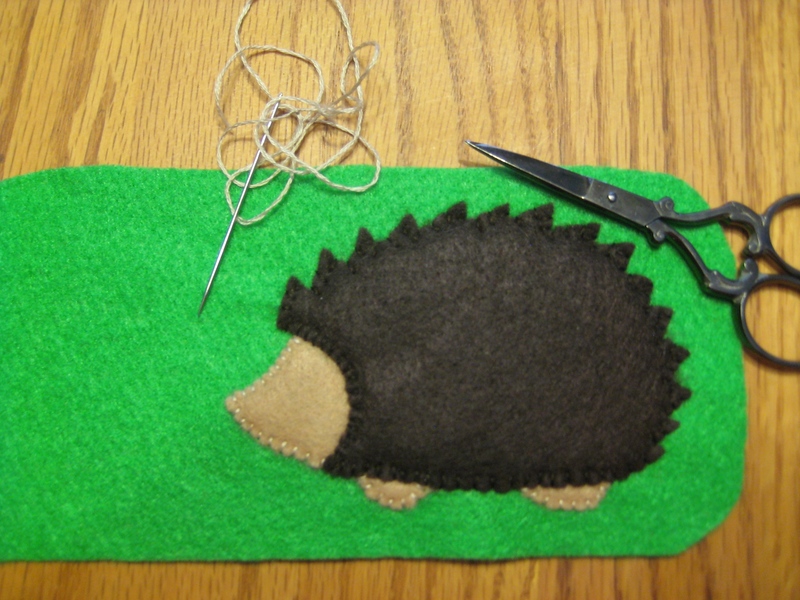 I took advantage of the quiet afternoon snowed in and cozy by the fire and made a hedgie from my new book Super-Cute Felt by Laura Howard. 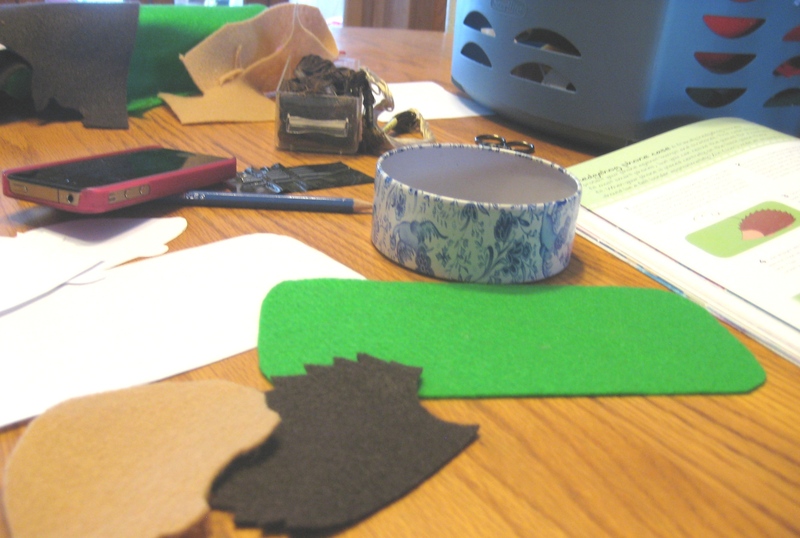 I have to say that the instructions were very clear and easy to follow and I picked up some good tips for working with felt. He worked up very quickly. In the end I made him just like in the book. 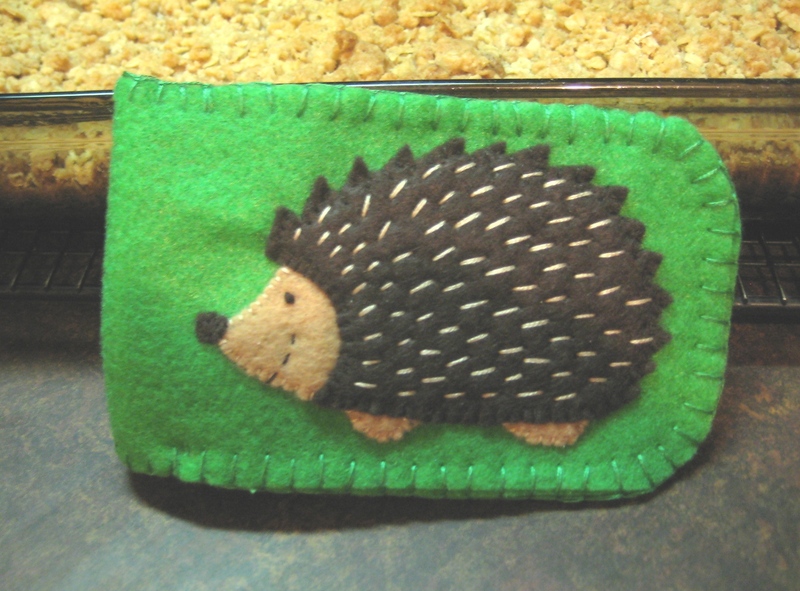 I will be making more in future for other ideas still want to try hin on a tea cozy, and he would be cute on a piece of clothing, or a tote bag…. I was getting pretty excited when I had to put him aside to make dinner. But I got back to him after dinner and making some pineapple squares. Ta Da! He is so adorable. I also looked up Laura on Chapters and Amazon and found her blog at Bugandfishes.blogspot.ca there are lots of great ideas and tutorials there as well. I also sent her a message on her face book page and she was nice enough to message me back. Hi Laura! I love that it is such a small world. I found more felt this morning at the dollar store…some new colours. I am off to stitch a broach! ← Happy Blog-iversary to me! Thank you! I have never been nominated before! He is one happy looking hedgie. You’re so talented. I’m pinning this! Thanks for sharing. I love working with felt. This is just adorable! This is SO cute! Looks like fun to make. Thanks for sharing, and also for the link.